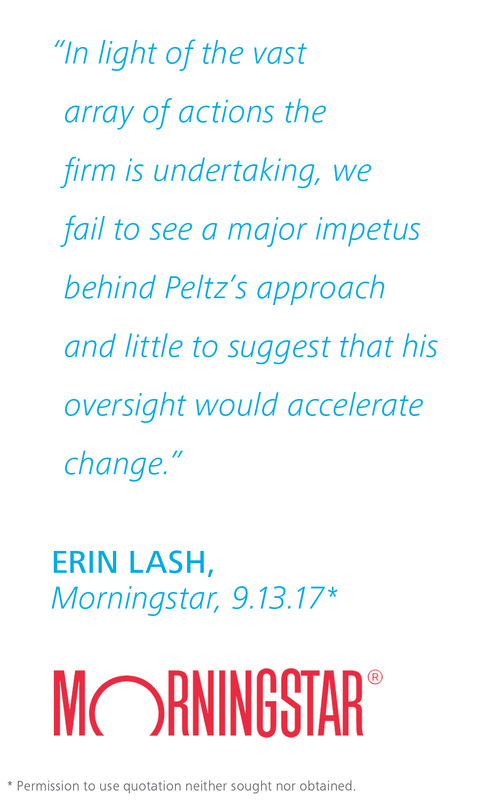 "In light of the vast array of actions the firm is undertaking, we fail to see a major impetus behind Peltz’s approach and little to suggest that his oversight would accelerate change." 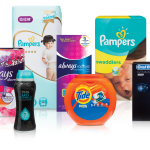 CINCINNATI--(BUSINESS WIRE)--The Procter & Gamble Company (NYSE:PG) today issued a letter to shareholders detailing the comprehensive ongoing transformation that is working to yield positive results for shareholders. The Company outlines broad based actions in productivity and cost savings, brand and product portfolio restructuring, accelerating innovation and organization changes. These changes are delivering meaningful new businesses, e-commerce growth, leadership market shares, and leadership levels of total shareholder return. P&G is a profoundly different, much stronger, more profitable Company than it was just a few years ago. 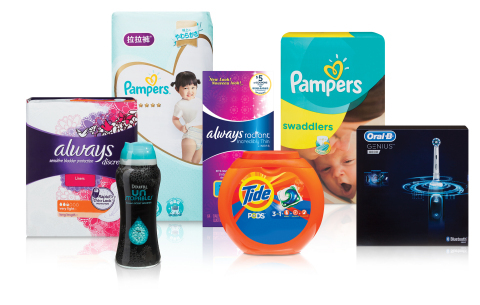 P&G is on the road to meeting current and future consumer needs with products that exceed their expectations, and to delivering the business and financial results shareholders expect from P&G. P&G has the right team, the right Board, and the right strategy and plan in place to take the Company to new heights. P&G states that it does not believe adding Nelson Peltz to the Board is the right choice for the Company. 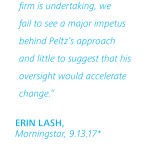 While Mr. Peltz is an accomplished investor, he does not fit the criteria established by the P&G Board through its rigorous governance process, nor does he have the skills the Board needs to continue to guide P&G for the future. P&G is on the right track and needs to stay focused to avoid derailing the progress underway. The P&G Board of Directors thanks you for your investment in The Procter & Gamble Company. 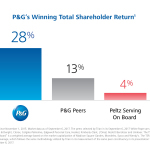 As this proxy contest draws to an end, I would like to recap P&G’s view of where we are as a company and why we recommend a vote to support P&G, and against putting Nelson Peltz on the P&G Board. 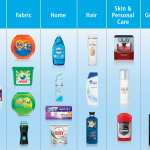 P&G is in the middle of a comprehensive transformation journey, which is yielding positive results for shareholders. Some brief perspective may be helpful to give you a sense of where we have been and what you can expect from us going forward. The P&G Board and management recognized the need to transform and reposition P&G to meet the significant changes in the consumer, retail and marketing environment, and return the Company to delivering excellent business results. 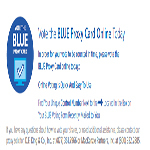 We recognized that P&G needed to address the impact of several important forces. Negative foreign exchange had become a major headwind. While P&G’s revenue was denominated in local currency, our costs were mostly in U.S. dollars, which created significant margin pressure. Most of our competitors were from Europe or Japan, giving them price and cost advantages. This foreign exchange pressure has been with us for the last several years and has only begun to moderate in the last several months. Traditional retail channels were being disrupted by e-commerce, enabling consumers to shop anywhere, anytime. This put real pressure on traditional retail. As consumers were spending more and more time online, traditional ways of reaching them were being upended. We needed to learn new ways to market to consumers and rapidly change our marketing mix to digital. Technology advances were enabling more rapid innovation cycles and faster consumer insights through big data and analytics. China, our second largest market, was undergoing a massive change toward premium products, which was a threat to our mid-tier product strategy that had worked well for many years. To address these forces, P&G embarked on what is undeniably one of the biggest business transformations in P&G’s history. We are well into the journey. P&G is a profoundly different, much stronger, more profitable Company than we were just a few years ago. The changes we have made are broad based and delivering results. We implemented a major productivity and cost savings program, necessary to address the foreign exchange impacts we faced. To give you a sense of what we have accomplished, we have reduced cost of goods sold, non-working marketing spending, and overhead costs by more than $10 billion in five years. We have reduced manufacturing and non-manufacturing roles by 32% and improved profit per employee by 45%. While much of the cost savings offset foreign exchange, we have also made important investments in R&D, selling, and digital technology infrastructure, while improving margins to industry-leading levels. Our cost structure today has us much better positioned to compete in a changing world. We have announced another $10 billion cost savings initiative, which we are confident we will achieve. This program can be used to improve the bottom line and continue to make the necessary investments in our business to strengthen our growth hand for the future. We undertook our most significant portfolio restructuring ever. We reduced the number of brands from 170 to 65 and the number of categories from 16 to 10, building shareholder value every step of the way. We now have a portfolio that plays to our strengths, where products solve problems and performance drives purchase. We are completely out of businesses driven by fashion, fragrances or flavors. The stronger portfolio is enabling us to accelerate our innovation engine. We have built a number of meaningful, new businesses such as Tide Pods, Pampers Swaddlers and Pants, Downy Unstopables, Always Discreet and Radiant, Oral-B Power, and many others. By any measure, P&G is the industry leader in innovation. We have built a strong e-commerce business with companies like Amazon, Alibaba, and Tencent. Our $3 billion e-commerce business is the largest of any multinational consumer packaged goods company, growing 30% last fiscal year, and growing share in 8 of 10 categories. We are a recognized leader in the use of digital media and advertising, and in raising the performance standards of the digital media industry. Our #1 market share position among millennials in brands such as Always, Tide, Downy, Dawn, Bounty, Charmin, Gillette, Crest and several others is evidence of P&G’s leadership. We are changing our organization structure to speed decision making and improve accountability. We are dismantling the matrix organization that powered P&G for many years and have moved to 10 category leaders that each have end-to-end accountability from strategy to financial results. We have changed our compensation system to hold category leaders even more accountable, and to differentially reward category teams for their performance. We are our own powerful agents of change. We have made dramatic changes to transform P&G. We are embracing the disruption of today’s world and using it to reshape our Company to win with consumers and win in the marketplace. And this change is working. The Company met and even exceeded its top-line, bottom-line and cash objectives during the last fiscal year. 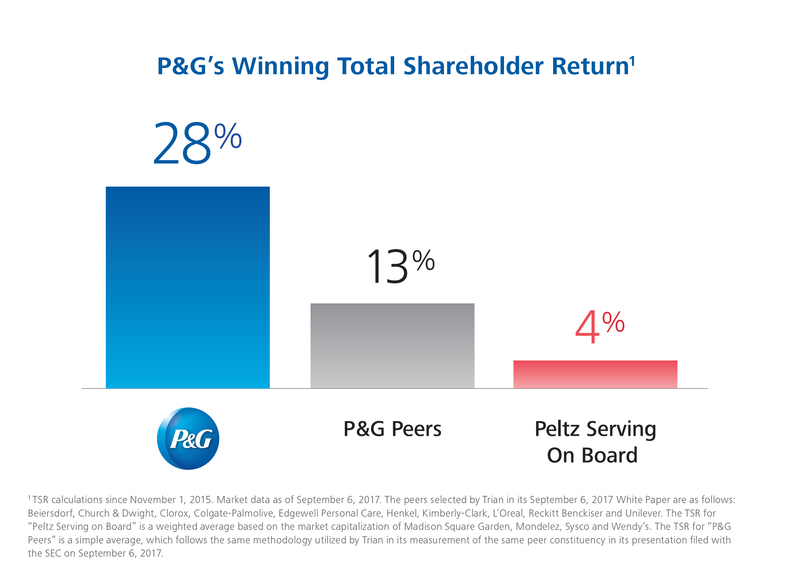 The P&G team has delivered 28% total shareholder return during the past two years. During the last four years, we have improved core operating margin by 270 basis points, 610 basis points excluding the effects of currency. The team delivered double-digit average annual constant-currency earnings per share growth during the past five years, improving industry-leading margins along the way. Over the past ten years, P&G has delivered more than $135 billion of capital to shareholders in the form of dividends and share repurchases, among the best in our industry and among the elite in all industries. This is a strong turnaround by any measure. Our objective is to grow ahead of the market on the top line and simultaneously increase margins to deliver leadership levels of total shareholder return. The Board and management are fully aligned on the strategy. We are executing a plan that is working and we need to stay the course. As you know, we do not believe that adding Mr. Peltz to the Board is the right choice for the Company. We need to stay focused and avoid derailing the progress we are making. Digital technology, data and analytics experience, as our ability to use new e-commerce, marketing and media innovations will only accelerate. Healthcare experience, as this is an important and growing category for us, and it has unique category characteristics that require specific expertise. Gender and ethnic diversity, as our Board composition should reflect the consumers we serve, and should continue to guide P&G’s social and environmental sustainability leadership efforts. While Mr. Peltz is an accomplished investor, he does not fit any of these criteria. We recognize that we could have just said “Why not?” and simply invited Mr. Peltz onto the Board to avoid a proxy contest that no one wanted. But our fiduciary duty compels us to make decisions that are in the best interests of all shareholders for the short, mid and long term – not to take the easy way out today. We will continue to hold our standards high and look for new Board members who meet our rigorous governance criteria, add to our set of knowledge and skills, contribute important new ideas, and strengthen our growth hand for the future. 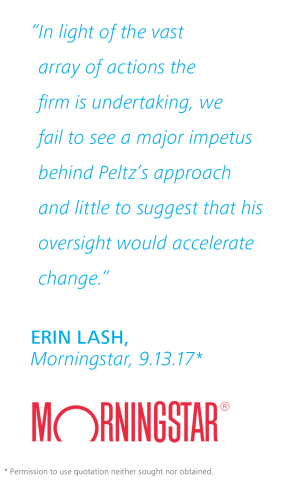 It is important to reiterate that Mr. Peltz’s views will not be lost if he is not on our Board. We expect that he will remain a large shareholder, and we will continue to listen to his ideas and recommendations. However, after conducting extensive diligence, we continue to strongly believe that Mr. Peltz does not offer the best solution for our Board and for the Company, today. We are excited about our transformation journey and about our future. We are on the road to meeting current and future consumer needs with products that exceed their expectations AND to delivering the business and financial results that you expect from P&G. P&G has reinvented itself many times in the last 180 years, and we are confident we have the right team, the right Board, and the right strategy and plan in place to take the Company to new heights. Thank you for your attention and for your continued investment in The Procter & Gamble Company. We respectfully ask for your support as we transform P&G to thrive in a rapidly changing world. 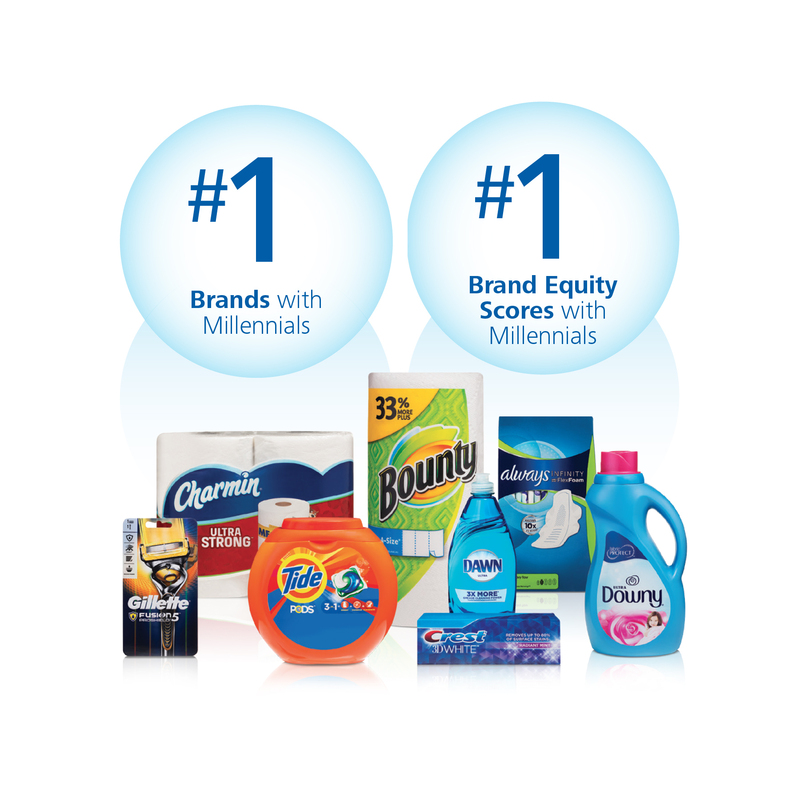 P&G serves consumers around the world with one of the strongest portfolios of trusted, quality, leadership brands, including Always®,Ambi Pur®, Ariel®, Bounty®, Charmin®, Crest®, Dawn®, Downy®, Fairy®, Febreze®, Gain®, Gillette®, Head & Shoulders®, Lenor®, Olay®,Oral-B®, Pampers®, Pantene®, SK-II®, Tide®, Vicks®, and Whisper®. The P&G community includes operations in approximately 70 countries worldwide. 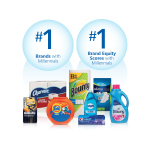 Please visit http:// www.pg.com for the latest news and information about P&G and its brands. This letter contains certain non-GAAP measurements that management believes are meaningful to investors because they provide useful perspective on underlying business trends (i.e. trends excluding non-recurring or unusual items) and results, provide a supplemental measure of year-on-year results, and provide a view of our business results through the eyes of management. These measures are also a factor in determining senior management’s at-risk compensation. These non-GAAP measures are not intended to be considered in place of the related GAAP measure and may not be the same as similar measures used by other companies. This data should be read in conjunction with previously published company reports on Forms 10-K, 10-Q, and 8-K, which are available on www.PGInvestor.com under Financial Reporting. Reconciliations of non-GAAP measures to GAAP are provided below. Incremental restructuring: The Company has had and continues to have an ongoing level of restructuring activities. Such activities have resulted in ongoing annual restructuring related charges of approximately $250 - $500 million before tax. Beginning in 2012 Procter & Gamble began a $10 billion strategic productivity and cost savings initiative that includes incremental restructuring activities. In 2017, the Company announced elements of an additional multi-year productivity and cost savings plan. These plans result in incremental restructuring charges to accelerate productivity efforts and cost savings. The adjustment to Core earnings includes only the restructuring costs above what we believe are the normal recurring level of restructuring costs. Early debt extinguishment charges: During the three months ended December 31, 2016, the Company recorded a charge of $345 million after tax due to the early extinguishment of certain long-term debt. This charge represents the difference between the reacquisition price and the par value of the debt extinguished. Venezuela deconsolidation charge: For accounting purposes, evolving conditions resulted in a lack of control over our Venezuelan subsidiaries. Therefore, in accordance with the applicable accounting standards for consolidation, effective June 30, 2015, we deconsolidated our Venezuelan subsidiaries and began accounting for our investment in those subsidiaries using the cost method of accounting. The charge was incurred to write off our net assets related to Venezuela. Charges for certain European legal matters: Several countries in Europe issued separate complaints alleging that the Company, along with several other companies, engaged in violations of competition laws in prior periods. The Company established Legal Reserves related to these charges. Venezuela B/S remeasurement & devaluation impacts: Venezuela is a highly inflationary economy under U.S. GAAP. Prior to deconsolidation, the government enacted episodic changes to currency exchange mechanisms and rates, which resulted in currency remeasurement charges for non-dollar denominated monetary assets and liabilities held by our Venezuelan subsidiaries. Non-cash impairment charges: During fiscal years 2013 and 2012 the Company incurred impairment charges related to the carrying value of goodwill and indefinite lived intangible assets in our Appliances and Salon Professional businesses. Gain on Iberian JV buyout: During fiscal year 2013 we incurred a holding gain on the purchase of the balance of our Iberian joint venture from our joint venture partner. We do not view the above items to be part of our sustainable results, and their exclusion from core earnings measures provides a more comparable measure of year-on-year results. Core operating profit margin and currency-neutral Core operating profit margin: Core operating profit margin is a measure of the Company's operating margin adjusted for items as indicated. Currency-neutral Core operating profit margin is a measure of the Company's Core operating profit margin excluding the incremental current year impact of foreign exchange. Management believes these non-GAAP measures provide a supplemental perspective to the Company’s operating efficiency over time. *Permission to use quotation neither sought nor obtained. 1 TSR calculations since November 1, 2015. Market data as of September 6, 2017. The peers selected by Trian in its September 6, 2017 White Paper are as follows: Beiersdorf, Church & Dwight, Clorox, Colgate-Palmolive, Edgewell Personal Care, Henkel, Kimberly-Clark, L’Oreal, Reckitt Benckiser and Unilever. The TSR for “Peltz Serving on Board” is a weighted average based on the market capitalization of Madison Square Garden, Mondelez, Sysco and Wendy’s. The TSR for “P&G Peers” is a simple average, which follows the same methodology utilized by Trian in its measurement of the same peer constituency in its presentation filed with the SEC on September 6, 2017.